Total solar eclipse over Georgia. Georgia eclipse. Great American Eclipse. 2017 solar eclipse. Solar eclipse 2017. 2017 eclipse. 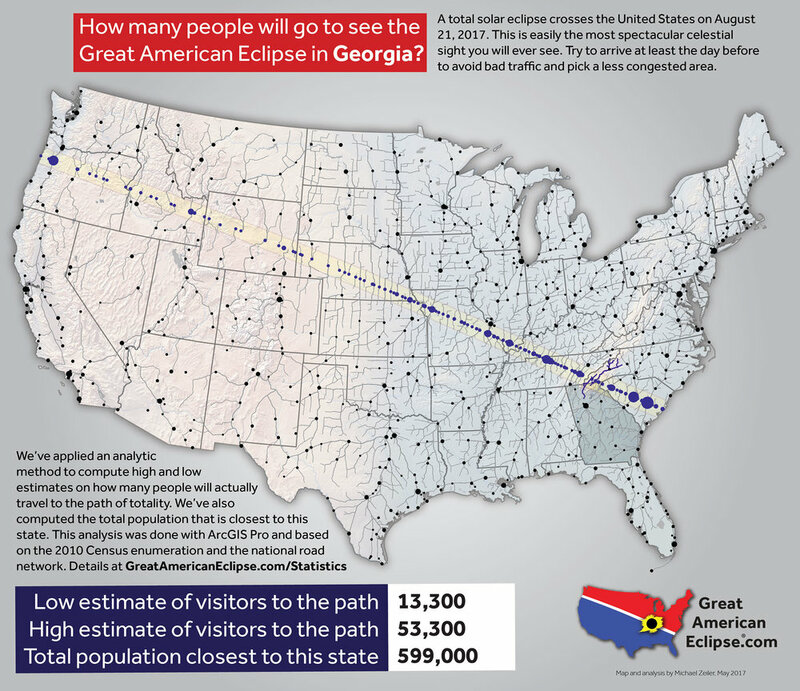 Many people from Atlanta will drive north into the path of totality. 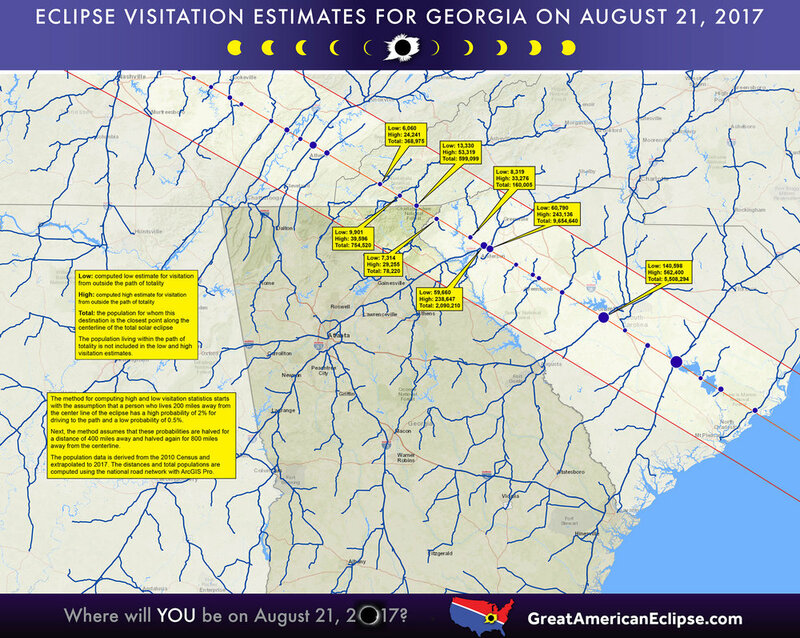 The total solar eclipse passes over the northeast corner of Georgia. Blairsville will experience 2 minutes of totality. Clayton is closer to the center of the path of the eclipse and enjoys 2 minutes and 35 seconds. The weather forecast in August for this part of Georgia is fair. For weather prognostications, visit the essential eclipse meteorology web site eclipsophile.com for the low down. An eclipse chaser in Georgia would be well advised to follow the short-term weather forecast before eclipse day and be prepared to drive to clear skies wherever they might be from Kentucky to South Carolina. The shadow of the Moon first touches Georgia at 2:34 p.m. EDT and leaves the state at 2:40 p.m. EDT. The shadow of the Moon passes by quickly, about 1,800 miles per hour.